As a main urban centre of one of the most dynamic European regions, Milan is a key location from which to study narratives of innovations and contemporary productions – old and new manufacturing, tertiary and consumptive sectors, creative and cultural economy – and investigate their influence both on spatial patterns and urban policy agenda. Accordingly, this book explores the contentious geographies of innovation, productions and working spaces, both empirically and theoretically in a city that, since the beginning of the 2000s, has been involved in a process of urban change, with relevant spatial and socio-economic effects, within an increasingly turbulent world economy. 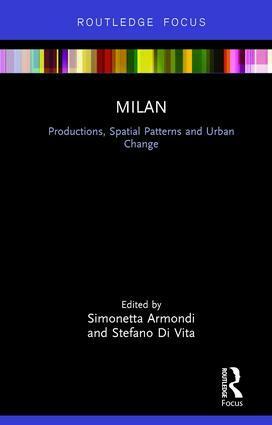 Through this analysis, the book provides an insight into the complexity of contemporary urban phenomena beyond a traditional metropolitan lens, highlighting issues such as rescaling, urban decentralization and recentralization, extensive urban transformation and shrinkage and molecular urban regeneration. This book is a valuable resource for academics, researchers and scholars focusing on Urban Studies such as Urban Policy, Urban Planning, Urban Geography, Urban Economy and Urban Sociology. Simonetta Armondi is a researcher in political and economic geography, and Professor in Urban and Regional Analysis at the Politecnico di Milano, Italy. Her research and teaching activities focus on the geography of urban change related to economic restructuring, contemporary capitalisms and urban policies. Stefano Di Vita is Research Fellow and adjunct Professor at the Politecnico di Milano, Italy where he carries out research and teaching activities in the fields of regional and urban planning and design. His main interests concern phenomena and tools of urban change processes supported by both ordinary and extraordinary projects.